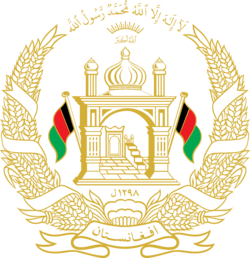 The Independent Election Commission of Afghanistan is the national electoral commission of Afghanistan, which is responsible for administering and supervising elections and referenda under the Constitution of Afghanistan. ↑ "Afghanistan election officials say state employees are aiding candidate". The Guardian. 28 March 2014. Retrieved 5 April 2014. ↑ "Afghanistan votes in historic presidential election". BBC News. 5 April 2014. Retrieved 5 April 2014. ↑ "Independent Election Commission of Afghanistan". Retrieved 4 April 2014.